Growing your startups comes with both opportunities and challenges. You’ve probably set clear growth goals before or after launch. The challenge is how would you reach your goals within that time frame? This is a big question many startup founders are asking. That is where a growth hacker comes in. A growth hacker is 100% focused on reaching and growing those numbers, and nothing else. The growth hacker’s goal is to help your startup become an industry leader. “Growth hackers have a common attitude, internal investigation process, and mentality unique among technologists and marketers. The growth hacker helps you avoid growth pitfalls by doing more of what works, and less of what doesn’t. The growth hacker is talented in a lot of things. Not just marketing. Whoever your growth hacker is, he or she would come up with a strategic plan that must be backed with adequate financing, and empowered with the right team and technology. But… before we talk about the reasons why you need a growth hacker in your startup, there’s something I must make clear. While having a growth hacker in your team is very, very important – at first, your startup doesn’t need one. Your startup needs a product that people love. I mean a product that is already working – has a lot of engagement and retention from a small number of users. The number of users could be as little as 100, or 1,000, but these people should really care about your product. The product of your startup must be solving their real needs. We are not talking about having your friends and family use your product here. You can’t get any real, genuine, actionable data when you only have friends and family who use your product. People must love your startup’s product. Before you start spending money on growth, you have to be sure that your product is solving people’s needs. 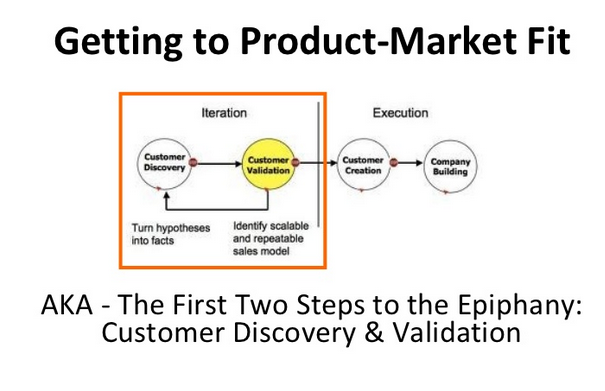 Your product must have achieved what I call a pre-product/market fit. It is after then you should start thinking about growth and moving your startup forward. When I talk about this, people often ask me how they would get those first initial users before they could think about hiring a growth hacker. You could get your first users by doing PR, participating in active communities where your target customers hang out, forming win-win partnerships, and doing some advertising. These tactics are very effective for getting your first initial customers who you’ll use to predict if your product is pre-product/market fit before you move to hiring a growth hacker who will help your startup grow further. I’m making this important point because I’ve seen many startups whose products have zero needs, yet you’ll hear them complaining that their growth hacker isn’t doing a good job. For startups like this, they don’t need a growth hacker because the market doesn’t need their product. Facebook has 1.65 billion monthly active users. Instagram has about 500 million. No doubt, many of your ideal customers are on social media. When you look at these amazing numbers, it indicates that you should be comfortable getting your first 10,000 customers from social media. That number may look small when compared to the total active users on those social sites, but it’s a big challenge. 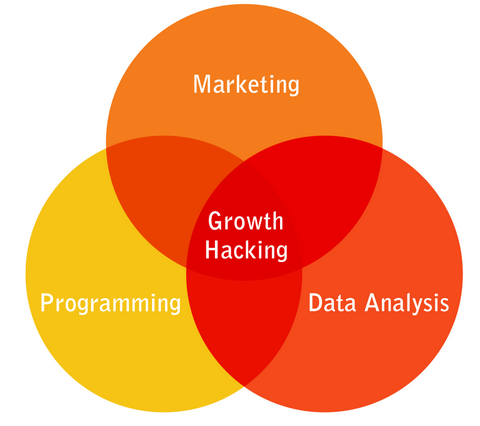 Only a growth hacker can give you all these. What would a growth hacker do when it comes to getting customers from social media? I’m sure you know your business goal already which is more customers. A growth hacker would make this goal the focal point of your marketing campaign on social media. A growth hacker would set goals using the SMART approach which means specific, measurable, achievable, relevant and timely. The growth hacker will have a raw specific number of what to expect in the first month, second, third before the sixth month. You don’t just want any customer. You want the right customers who really needs your product. 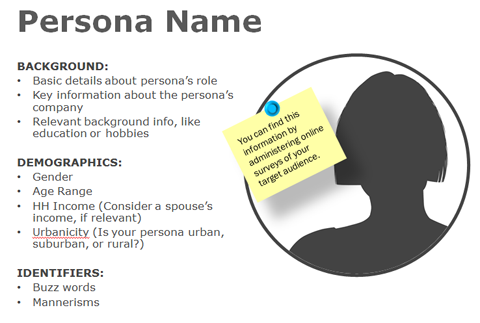 A growth hacker would help you create buyer personas that fit your startup. For example, the growth hacker will know your target audience’s age, occupation, income, interests, pains, problems, obstacles, habits, likes, dislikes, motivations, and objections. A growth hacker will compile a list of your top competitors, search their social profiles, and analyze their growth strategies. Your growth hacker will also pay attention to the content they are posting and its context. And also, the growth hacker will look at what content types are driving their engagements. Your social media campaign needs a content strategy that will not only increase engagement with your startup on social media but also increase your conversions from social media. With a growth hacker at the helm of decision-making, you can be rest assured that you’ll be getting out the best from social media. When it comes to growth hacking your startup’s social media campaign, an adequate budget is required. Most startups establish their budget first and then find tactics that fit their budget. They establish a strategy first, and then determine the budget that fit the strategy. That’s why you really need a growth hacker to take charge of your social media marketing campaign because they focus their efforts on just one thing, which is growth. There’s a new term that’s spreading in the marketing industry. It’s widely believed that it’ll take a long time to start getting good traffic from search engines. “The Google Sandbox is an alleged filter placed on new websites. The result is that a site does not receive good rankings for its most important keywords and keyword phrases. Even with good content, abundant incoming links and strong Google PageRank, a site is still adversely affected by the Sandbox effect. Despite the existent of Google Sandbox, you can still get your new startup website to rank high on Google within a few months, and get a lot of customers as a result. Even though your domain name is new and can’t compete for high-volume keywords, growth hackers know that there’s still a real possibility that your site can show up for long tail keywords that are related to your startup. Instead of waiting for your new domain to get old and be able to compete for high competitive keywords, your time would be better spent by focusing on long tail keywords which are less competitive. The hack here is to optimize for a lot of relevant long tails keywords while still providing value to both search engines and users. A growth hacker will find all the long tail keywords your site could rank for on search engines and rely on them in order to meet your startup goals. 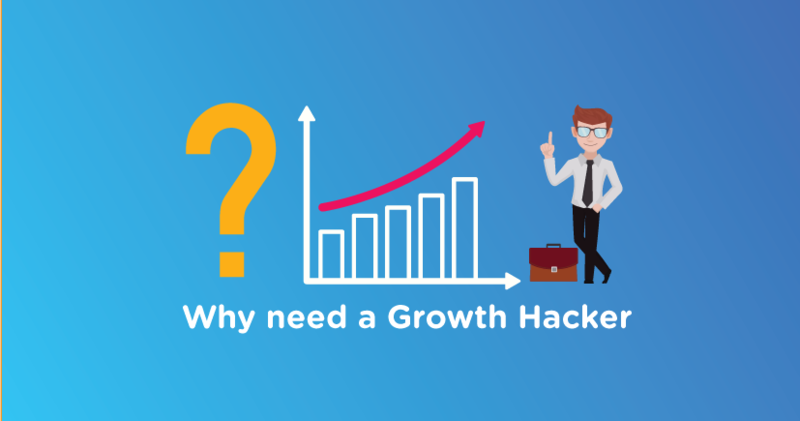 A growth hacker may look into the SEO campaigns of your main competitors and see what’s working for them, and then try to do the same thing for your startup. Google Analytics and Google Search Console are used to track, improve and present traffic data from your startup SEO campaign. The information provided by these two tools would further be used to improve your startup’s SEO campaign and even deliver better results. A growth hacker will analyze the link building and content strategy of your competitors’ SEO campaigns and try to replicate their process. Not only that, a growth hacker will track if this is really worthwhile. A traditional SEO might continue doing it regardless of the results, but a growth hacker wouldn’t. Growth hackers tend to take a critical look at their strategies to see if they are contributing to the bottom line of the business. While there are a number of ways to get in front of your target customers, email marketing remains the most effective and reliable way to growth hack your startup. You need a talented growth hacker to build a massive email list, and then convert them into customers of your startup. Noah Kagan was one of the early growth hackers at Mint. Mint grew to 1.5 million users before it was sold to Intuit for $170 million. Noah later built an email list of over 700,000 subscribers for his own company, AppSumo. Talented growth hackers know what they do, and they can achieve results over and over again using different tactics to accomplish their goals. Highlighting your sign-up form so that it’s obvious on your startup website. Offering incentives for your ideal customers to subscribe to your email list. Playing with pop-ups so that every user who lands on your website gets to see your sign-up form. Putting the sign-up forms in multiple places to maximize your chances of capturing more email subscribers. Guiding the subscribers through the funnel before converting them into customers. Letting subscribers know the information to expect from your startup. Being consistent with messaging and branding through emails that are being sent to subscribers. Sending out both HTML and text emails messages. A/B testing the subject headlines and message body. Rewarding readers with something that makes them want to share your startup on their social accounts etc. Email marketing could be very complicated if you don’t know how it works. There are also a lot of testing and tracking involved. That’s why your startup needs a growth hacker. Your site’s user experience is a big part of growth. 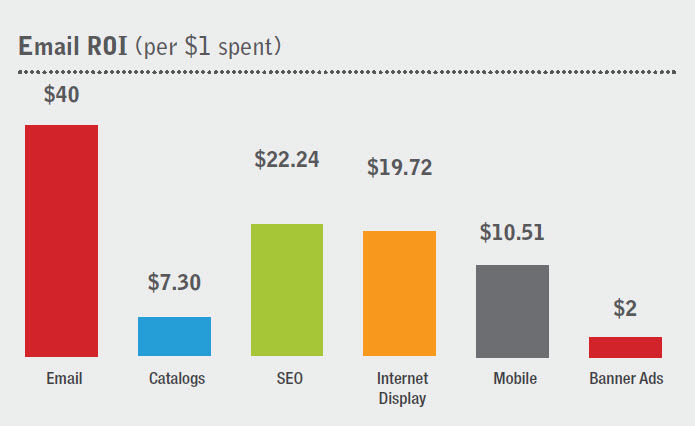 Some startups just want to focus on what increases conversions which is a big mistake. There’s an intersection between UX and growth hacking. Both must work hand in hand to achieve growth for the startup. What good is having a million users if none of them are using your product? It’s a huge problem all startups face today, and that’s the reason you need a growth hacker. The growth hacker doesn’t necessarily have to be a designer, but he or she should have access to the same data as a designer. While I’ll say that user experience designers and growth hackers have different goals, they’re not so different as you may think. Both have common traits and focus on some of the same consumer touch points. They both want to know what motivates your users. UX won’t double your growth when you have none. UX will only come into play when you already have an established audience or users who are using your product. Then your growth hacker will want to access those data your UX designer has in order to take your growth even further. Hiring a talented growth hacker is very important to the future of your startup. Activation: make sure customers believe in the product, and are getting the wow-effect. Retention: make sure customers are coming back. Revenue: make sure customers are activated, coming back, and your startup is generating revenue. Referral: ensure customers are really happy, and referring your product to their friends and family. These are the reasons why you need a growth hacker. A warm thank you for the post. A startup is really an important phase for the new company. Every steps are crucial. But you have made the task easier through the tips.